My name is Ben Ong. I’m a natural health author and metabolic disease researcher. Over the last 20 years, I have primarily focused on men’s health, specifically prostate disease. 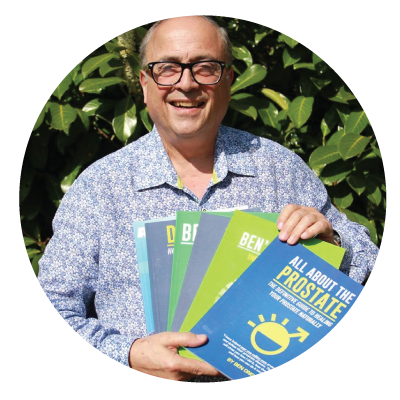 I have written an international bestseller “All About The Prostate” that is used by doctors, clinics and private patients worldwide to improve prostate health. I helped tens of thousands of men lower their PSA, fight their prostate cancer and improve their quality of life. In early 2015, after a 2 year long period of lax diet caused by the death of my father, difficulties in my personal life and the stresses of work, I was diagnosed as a type 2 diabetic. This all happened at one of my annual checkups. My doctor told me that my blood results showed that I now had type 2 diabetes. And then he went straight to what I am sure is a well-rehearsed speech about the incurable but “manageable” nature of type 2 diabetes. He began to list drugs and tell me about the limited options he insisted I now had. He wanted me to start taking a slow release form of glucophage. Now, I have known my family doctor for many years and he is a lovely, fine, caring and intelligent man, if a bit conventional and stuck in his ways. He is a fabulous GP and good doctor. But he is also a product of his time, meaning he is firmly entrenched in the belief that drugs and surgery are the only solutions to serious diseases. However, all my experience and my gut instinct told me that he was wrong, that a disease created by poor dietary habits could be destroyed by good ones. Needless to say, he did not agree, he insisted that I needed to take the drugs. So we made a deal. I had 90 days to lower my blood sugar and restore my health or I would concede and take the pills without making a fuss. At the end of the 3-month window, we agreed that I would come into his practice and have a fasting Plasma Glucose and HBA1C test (the HBA1C test is the standard test for diagnosing diabetes recommended by the World Health Organisation). If I was non-diabetic, then I was free and clear. Leaving my doctors office I felt fantastic. Here was what I had been missing, a new challenge, and better yet it was metabolic health, something I was well equipped to deal with. With renewed vigour I reached out to my colleagues and fellow researchers. I told them to send me all the research they had on diabetes and whether or not it could be controlled or reversed without drugs. Honestly, I didn’t know if there would be even a little research or even any research. I certainly wasn’t ready for the tidal wave of studies, papers, meta-analyses, case notes and personal anecdotes. Like a starving man, presented with a full plate, I devoured each and every morsel and scrap of research. I sent an endless barrage of questions off to experts, doctors, and researchers that I knew. I reached out and made new contacts who were specialists in diabetes research or treatment and then assailed them with endless phone calls and emails about what I was reading. Within the matter of a few days, I knew that I could cure my diabetes without ever even glancing at a tablet or pill, within a few weeks I had created comprehensive dietary and lifestyle protocols to achieve exactly that. I now knew that I was going to win this fight, I knew how to cure diabetes. Ninety days later I returned to the doctor’s office and my new blood test results came through, my blood sugar was now normal my HBA1C indicated I was not diabetic, and my cholesterol, triglycerides and other blood markers also showed dramatic improvements. My doctor also noted that my blood pressure was now 120/70. My doctor was forced to concede that “whatever you’re doing, it’s working” and there was no longer any reason for me to take any sort of diabetes medication. Those results and every follow up test in the last two years have continued to prove that diabetes is not just controllable but is curable. That you don’t have to rely on big pharma or a surgeon’s scalpel to treat this condition, and that you can permanently and naturally cure type 2 diabetes without ever taking a single toxic pill or having any invasive surgery. 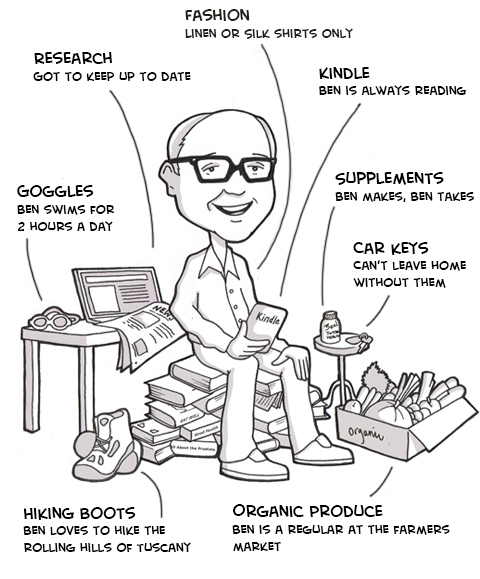 For all those reasons I decided to write a book called How To Cure Diabetes In 90 Days. 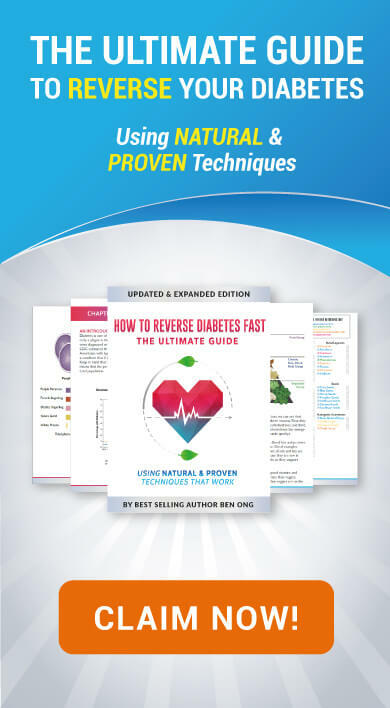 It does what it says on the cover: gives you the exact step-by-step plan that you need to follow to completely cure your diabetes in only 90 days. Best of all, I will show you how you can make it even simpler and easier for you than it was for me. I will show you how you can cure yourself of diabetes in 30 days under medical supervision and my supervision with guaranteed results.